Zombie experts know that not all zombies rot and waste away to nothing. Some mutate and become something more. 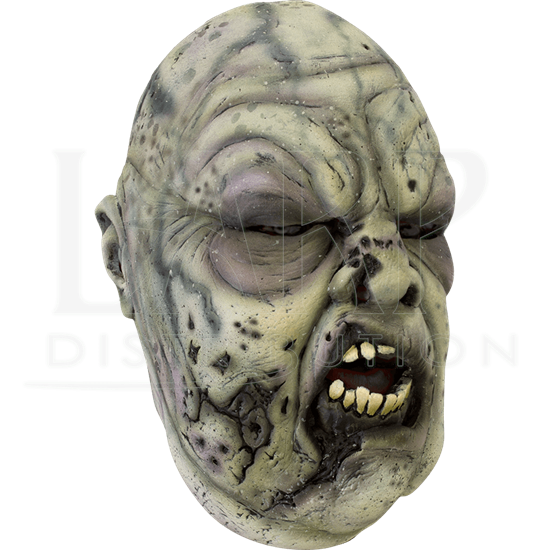 This Big Rotten Zombie Mask allows you to become one of the undead, bloated with putrescence and ravaged by infection. Bigger than your average zombie, this mask adds some bulk to your features. It also offers up a sickly yellow-green skin tone that indicates rot and infection. Narrow eyelets allow you to see out, while black cracks mark where the skin has begun to split. The classic open-mouthed expression finishes this Big Rotten Zombie Mask, making it a distinctive choice for when you need to make yourself into a ghastly undead.